The Minister of Science and Technology Naledi Pandor opened a bio-manufacturing centre in Pretoria at the Council for Scientific and Industrial Research (CSIR) today. The Bio-Manufacturing Industry Development Centre (BIDC) is a first of its kind in South Africa and it aims to support small, medium and micro enterprises (SMMEs) involved in bio-manufacturing in meeting their customer needs within short time-frames and be able to exploit market opportunities. The BIDC's support for SMMEs is through the development of bio-based manufacturing processes and products. Companies that are incubated at the BIDC have access to ready-to-use bio-manufacturing facilities, support in research and development laboratories as well as access to experts in the fields of agro-processing and bio-processing product development and scale-up. Funded through the Department of Science and Technology's Industrial Innovation Partnership Programme and the Jobs Fund Programme, the BIDC is a hub for innovation in bio-manufacturing sector. Speaking at the launch of the centre, Pandor said the local manufacturing sector has been slow to adopt innovative manufacturing technologies leading to limited value addition to raw materials and a steady increase in the country's trade deficit. "The key strategic focus is to provide an environment for the re-industrialisation of South Africa through the diversification of the economy. The BIDC therefore contributes to the development of new, innovative products and new industrial value chains which revitalise the local industry, stimulate export markets and increase local competitiveness," said Minister Pandor. The BIDC has enabled the CSIR to develop unique insights into the potential of the bio-economy and bio-manufacturing sector. The initial phase will result in the creation of permanent and temporary jobs while the economic impact is projected at about R250 million per annum within the next five years. Currently the BIDC is supporting 19 enterprises of which 16 are owned by black entrepreneurs, including 10 black women-owned enterprises. "To date, 33 products with applications in the cosmetics, nutrition and biotechnology industries have been developed and transferred to the enterprises. The programme has resulted in 105 permanent jobs being created, the majority of which are within the enterprises and their value chains, while an additional 165 temporary jobs have also been created. At least 54 interns have received training in the BIDC vocational learning programme in order to provide the biomanufacturing sector with a skilled workforce," said BIDC Manager Dr Dusty Gardiner. 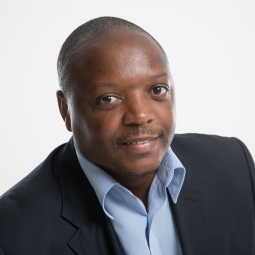 CSIR Chief Executive Officer, Dr Sibusiso Sibisi said the CSIR performs research to stimulate and improve the competitiveness of industry, and thereby contributes to the economy of the country. "We need to think differently. We need to explore new ways and mechanisms to enter areas of activities such as the beneficiation of our natural resources to create jobs, manufacture high-end components and export them," said Sibisi. The BIDC supports SMMEs through the prototyping and scale-up phases of product development, assists them to do market acceptance testing and to launch products in the market. The companies remain the sole owners of their innovations and retain absolute control over their future in terms of value add and partnerships. The BIDC helps to lower the cost and barriers that inhibit innovative enterprises from translating their inventions into market-ready products.